The Green Revolution of the mid-1960s and subsequent agricultural revolutions resulted in unprecedented gains in production, and halved the incidences of poverty and hunger. However, a growing world population and climate change bring new challenges alongside second-generation problems of the Green Revolution such as: decline in factor productivity, soil degradation, imbalanced use of nutrients, costly inputs, depletion of groundwater table, chemical contamination of food and feed as well as decline in farm income. This book sketches a journey from green to an evergreen revolution and India's ability to face those challenges through harnessing the best technologies and blending them with rich traditional knowledge. 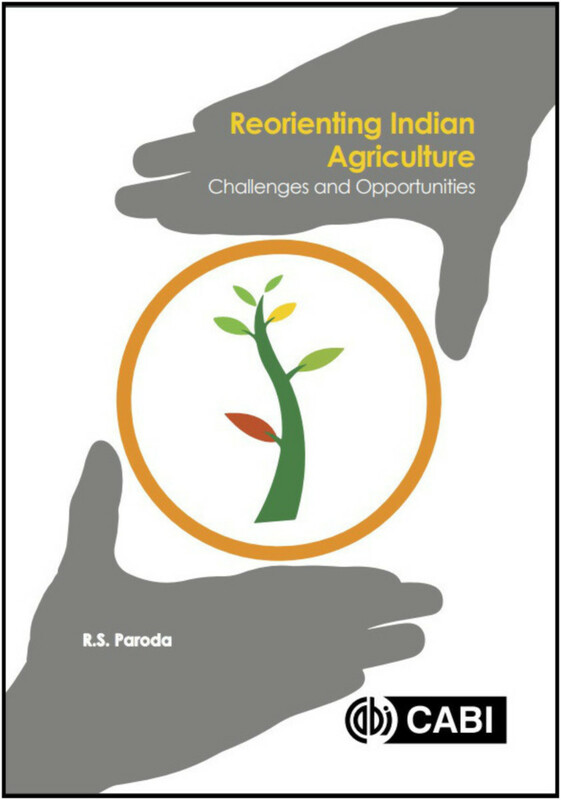 This book outlines the agricultural scenario in India, the multiple revolutions, and the reorienting of agricultural research for development, productivity and productions, including potential and possibilities of promoting GM crops. Genetic resources and natural resource management, and the role of seed sector in Indian agriculture are analyzed. Chapters consider climate smart agriculture, innovation in extension systems for efficient transfer of technology, empowering women and attracting youth in agriculture and the policy reforms to achieve these goals. Raj Paroda former Director General, Indian Council of Agricultural Research (ICAR) & Secretary, Department of Agricultural Research and Education (DARE), Government of India, is an accomplished plant breeder and geneticist and research administrator. He has made significant contributions in crop science research. He modernized and strengthened national agricultural research systems (NARS) in India as well as in Central Asia and the Caucasus. He was the main architect of the National Gene Bank in New Delhi. He has received numerous awards, including Rafi Ahmad Kidwai Prize, ICAR Team Research Award, FICCI Award, Om Prakash Bhasin Award, BP Pal Gold Medal, Borlaug Award, Mahendra Shiromani Award and the prestigious Padma Bhushan from the Government of India in 1998. He was the founder chairman of Global Forum on Agricultural Research (GFAR) based at FAO, Rome. He was President of Indian Science Congress in 2000-2001 and President of the National Academy of Agricultural Sciences, besides a dozen scientific societies in agriculture. Fifteen universities have awarded him D.Sc. (Honoris Causa) degree including Ohio State University, Columbus and Indian Agricultural Research Institute, New Delhi. He served for more than two decades as Executive Secretary of Asia-Pacific Association of Agricultural Research Institutions (APAARI). Paroda worked for the overall benefit of farmers as Chairman, Farmers Commission of Haryana, Chairman of Working Group on Agriculture and member of Rajasthan Planning Board. Currently, he is Chairman of the Trust for Advancement of Agricultural Sciences (TAAS) and on the Strategic Impact, Monitoring and Evaluation Committee (SIMEC) of CGIAR System Council.